A Valentine's Variety Show dedicated to the raw & the raunchy. Aerial. Circus. Absurdity.Skill. Hilarity. Brilliance. The finest, fittest and most ferocious performers, curated to perfection and presented on our stage for your enjoyment. Created, produced, and hosted by the House of Yes co-founders: Kae Burke & Anya Sapozhnikova. Told in 3 acts, not for the faint of heart. Shows like Dirty Circus are our Heart and Soul. They allow us to showcase the best talent in the entire city, and bring it to you at a fraction of the cost. Because we love you. BATHTUB SPECIAL: At every Dirty Circus show, one lucky guest will have the opportunity to watch the show from our vintage clawfoot bathtub. The bathtub is the best seat in the house, and comes with handmade bubbles and other surprises! If you end up in our bathtub, you are welcome to invite anyone else in the house to join you. SPLASH ZONE: Occasionally, we get extra messy at Dirty Circus. Some acts may include water. We will clearly mark all seats that fall within the splash zone, so you can make an informed decision about just how wet you want to get. Behave with beauty, connect with intention. We are obsessed with Consent. Always ASK before touching anyone in our House. If someone is violating your boundaries or harassing you, please speak to a security guard or any staff member. We have a zero tolerance policy for harassment. If you feel something, say something, and we will help. 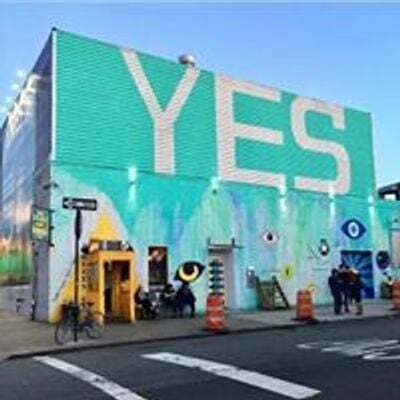 Questions about consent culture at House of Yes? Let us know: Y29uc2VudCB8IGhvdXNlb2Z5ZXMgISBvcmc=. Community Passover Seder - Every Jew is welcome!